Film-Arcade.net: Official Trailer for the Upcoming Thriller "Poker Night"
Official Trailer for the Upcoming Thriller "Poker Night"
XLrator Media recently the official trailer for the upcoming thriller "Poker Night". The film stars Ron Perlman, Giancarlo Esposito, Beau Mirchoff, Titus Welliver, Michael Eklund and Ron Eldard. 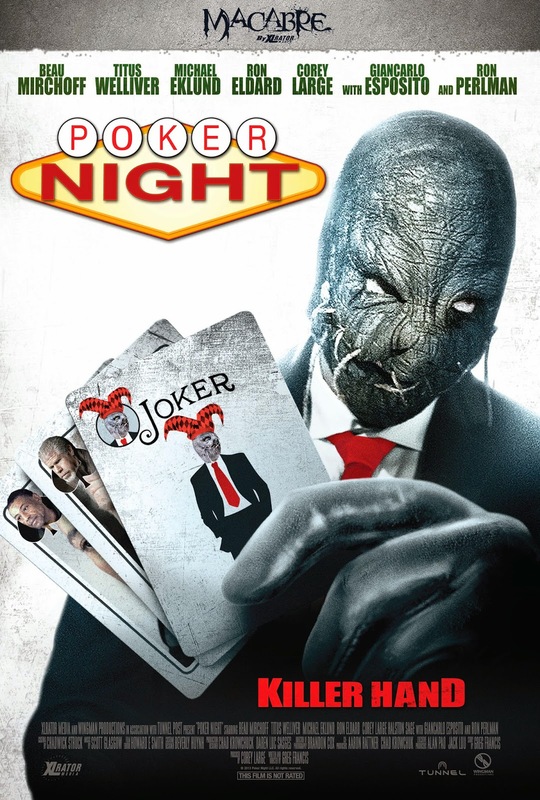 "Poker Night" hits DVD and Blu-Ray on 2/10. In this twisted thriller, a young detective is caught in a sadistic game of cat-and-mouse when he is kidnapped and tormented by a masked serial killer. In order to survive, the rookie must use the wisdom imparted to him by senior detectives on their regular poker night.